International Journal of Research in Health Sciences,2015,3,1,56-61. 1-Post Graduate Trainee. 2-Registrar, Dept. of Radiodiagnosis, RIMS, Imphal. 3-Post Graduate Trainee. 4-Professor and Head, Dept. of Radiodiagnosis, RIMS, Imphal, Department of Radiodiagnosis, Regional Institute of Medical Sciences (RIMS), Imphal, Manipur – 795001, INDIA. Dyke-Davidoff-Masson Syndrome (DDMS) is a rare condition characterized by seizures, facial asymmetry, contralateral hemiplegia, learning disabilities and mental retardation which is usually due to an insult to the developing brain in fetal or post natal life. The characteristic radiologic features are cerebral hemiatrophy with homolateral hypertrophy of the skull and sinuses. 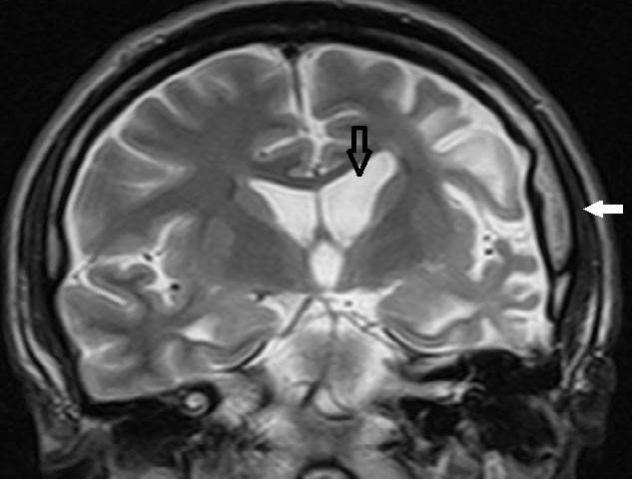 In this article, we report a case of 45 yr old man who presented with seizures, cognitive impairment and right sided hemiparesis since birth and with classic imaging features on cross sectional CT and MRI study which was subsequently diagnosed as DDMS.